The new Mitsubishi L200 pickup truck has taken to the track in the 2019 ECB SuperUtes Series, an Australian racing series where modified production pickup trucks, or ‘utes’ as they are known locally, compete against each other wheel to wheel over eight weekends in a total of 24 races. Based on standard Mitsubishi L200 production vehicles, the SuperUte versions are powered by a tuned version of the stock 2.4-liter turbo-diesel engine, which retains its aluminum engine block and pistons but gains modifications such as uprated camshafts, a modified oil sump, larger injectors and larger fuel rails. 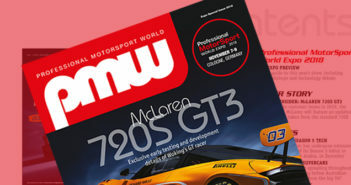 The engine also receives a larger GTurbo high-flow turbocharger, a larger intercooler, an upgraded radiator for additional cooling and a Motec engine management system. A bespoke Torqit 3in exhaust system is fitted from the turbo backward, while the manifold is retained from the standard L200. Producing 344hp and 677Nm of torque, the Mitsubishi L200 SuperUte can reach 0-62mph (100km/h) in under 3.5 seconds and on to a top speed in excess of 150mph (240km/h). The front suspension is upgraded with SupaShock springs and absorbers while the rear end is completely modified. The standard rear differential and rear leaf-spring suspension are removed and replaced with a SuperUtes control package, complete with a competition-spec differential and a fully adjustable horizontal SupaShock racing damper setup. The standard gearbox is replaced with a Tremac 6060 6-speed H-Gate manual shift gearbox with set ratios with a specially fabricated heavy-duty lightweight clutch and flywheel from Australian Clutch. All vehicles have 20in PDW special SuperUtes Series alloy wheels and Yokohama R-spec 20in tires. Other controlled elements include a Tilton pedal box and a Brembo brake system. All vehicles are fitted with a bespoke CAMS-approved (Confederation of Australian Motorsport Ltd) roll cage along with FIA-mandated safety harness, window net and other driver protection. The vehicle weight is also controlled and set at 1,800kg (3,970 lb) to ensure parity across the manufacturers entered for the series. 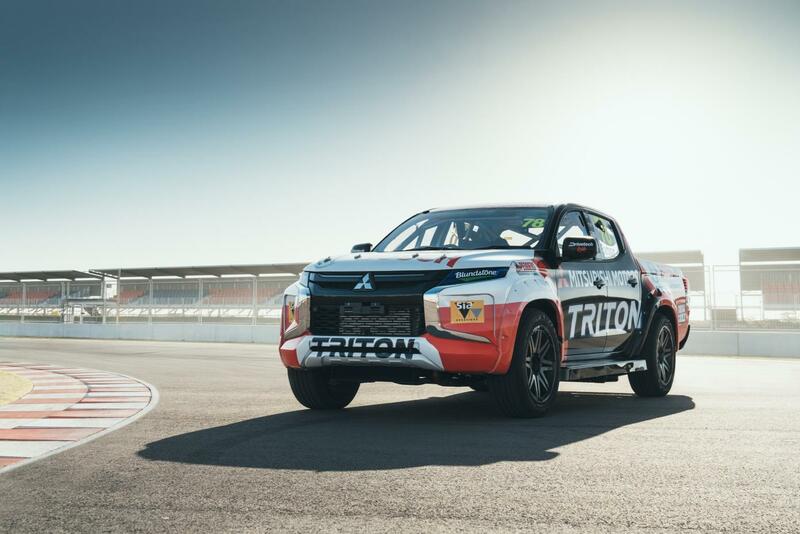 The first race of the season took place over the first weekend of March at the Adelaide Street Circuit in South Australia, where Mitsubishi Motors Team Triton finished in a competitive third place in all three races of the weekend. The SuperUtes season spans eight race weekends and concludes at the Newcastle Street Circuit in New South Wales on the weekend of November 22-24.